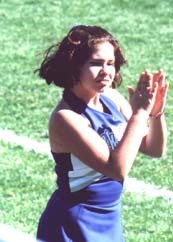 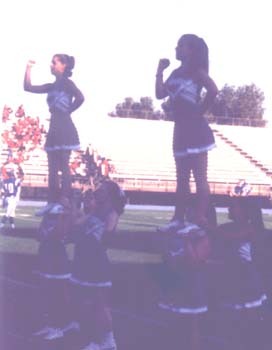 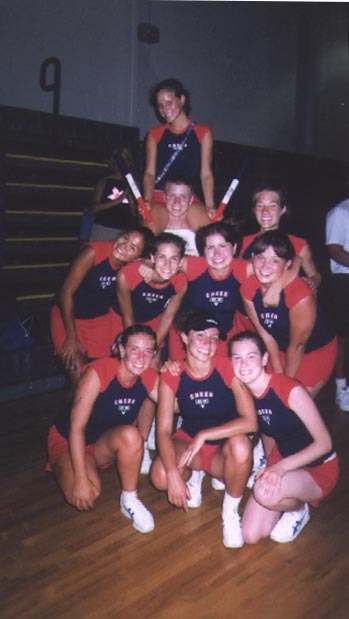 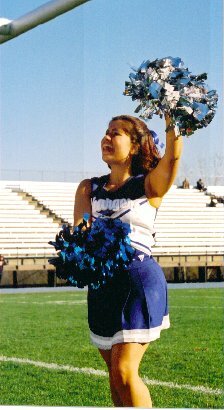 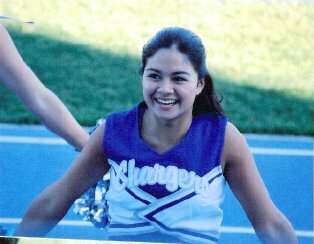 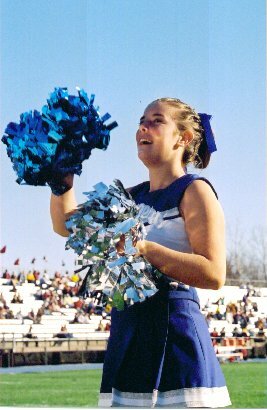 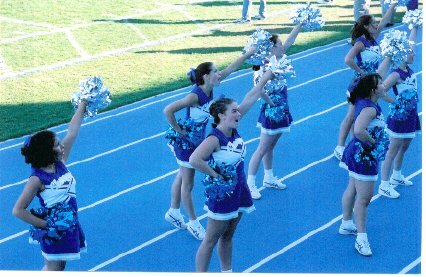 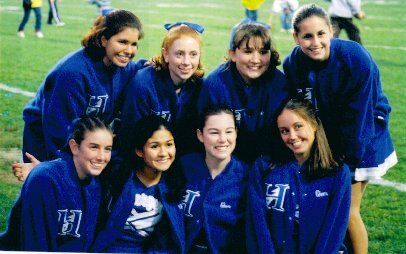 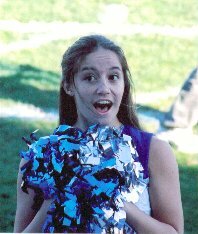 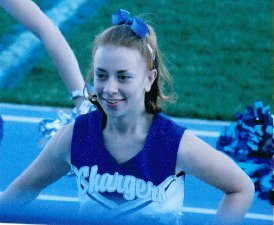 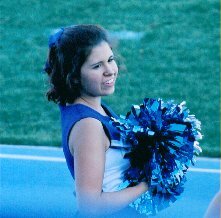 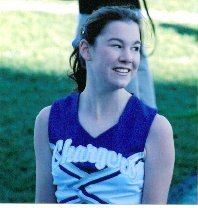 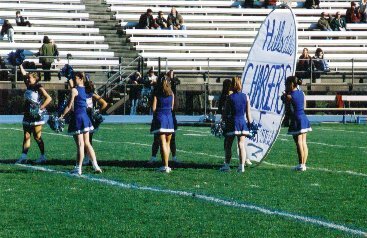 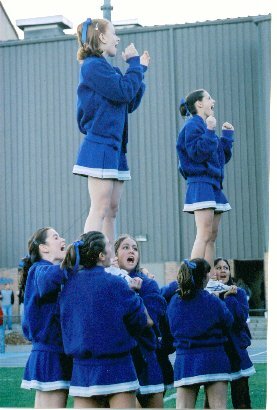 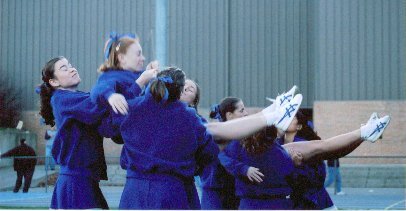 Here are some pictures of the 2001-2002 Chargers Cheerleaders. 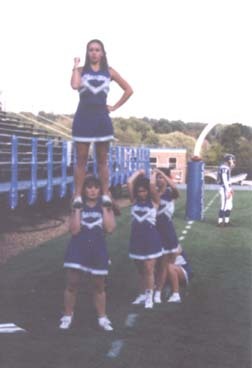 Here we are practicing stunting before our game against Findlay. 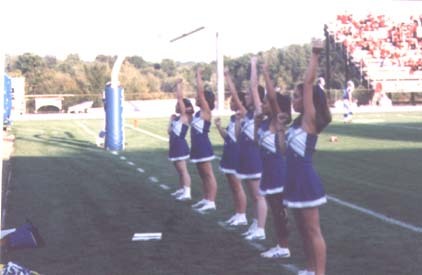 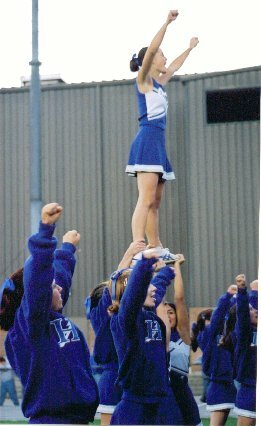 The team putting up 2 stunt groups during a cheer.